You’ve got to click to see the full-sized image. It’s a perspective that’s unlike anything I’ve ever seen before. Yes, similar views were captured during the Apollo program, but nothing quite like this. Our Moon’s far side is so very different from its near side that it almost looks like an alien world. Most of the maria regions are on the near side, and thanks to tidal forces, we can never see the far side of the Moon from Earth. And yet, it’s our Moon. And there we are, on that small blue/white sphere in the distance. 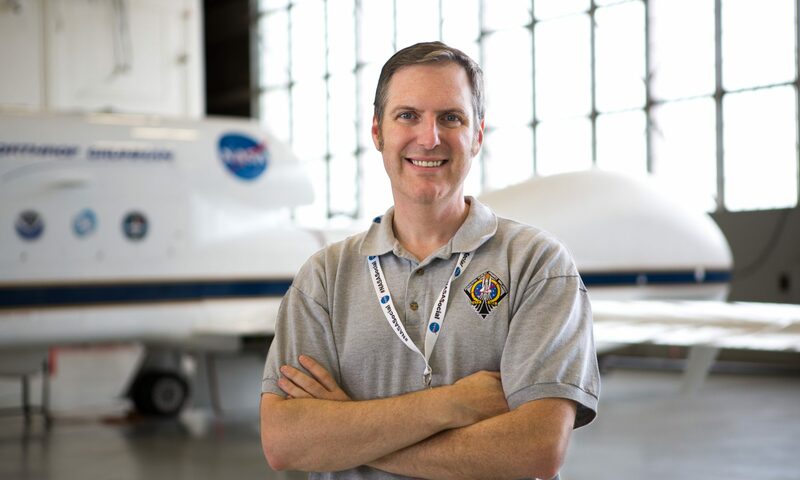 I first spotted this image on the Planetary Society’s blog and it’s cool to see it getting passed around. I think images like these are crucial to our survival. Hopefully, as we continue to “grow up” as a species, we’ll better understand how finite our planet really is, how alone in the dark we really are. And how lucky we are to be alive to see it like this. Today, the Chinese Space Agency’s Chang’E-3 spacecraft successfully touched down on the surface of the Moon. A few hours later, a small rover called Yutu (Jade Rabbit, in Chinese) successfully set foot onto the lunar surface. Incredible! Emily Lakedewalla has more animations like this on her blog, and I highly recommend checking it out. 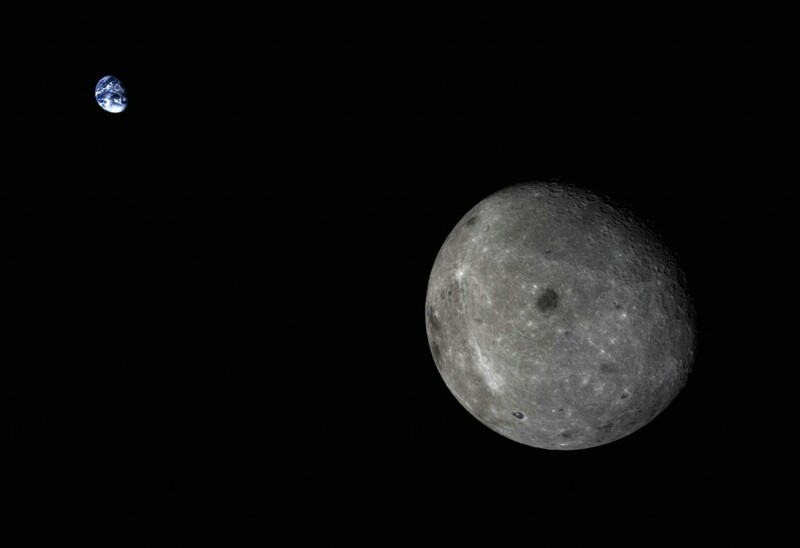 Chang’E-3 and Yutu aren’t alone at the Moon. Orbiting above are the Lunar Reconnaissance Orbiter and the recently-launched Lunar Atmosphere and Dust Environment Explorer (LADEE). That means that as of today, we have multi-national, peaceful, scientific exploration of our Moon. As Sean Carroll noted, the Chinese certainly deserve credit for this accomplishment, becoming only the third nation in the history of humanity to soft-land a spacecraft on the Moon. But I admit to a certain twinge of frustration that this accomplishment comes at a time when the United States is seriously considering a budget that slashes funding for NASA, particularly its planetary exploration program. There’s simply no sensible reason the world’s richest and most technologically advanced nation – the only one to ever send humans to the Moon, for crying out loud – to be considering such a cut in funding like this. Who knows, perhaps China’s lunar landing will spurn public pressure on Congress and the administration to reconsider the proposed budget for NASA. In the meantime, I’m glad that other countries like China are stepping up and advancing the frontier. Yes, the Chinese are proud, and they deserve to be. But we should all be proud because this is first and foremost a human endeavor. This is what we are capable of when we choose to do great things. This is humanity at its best.